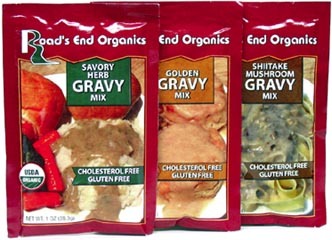 The first organic vegan gravy mix available, Road's End has created the most flavorful mixes we've ever tried. Wheat-free, gluten-free and made from only the finest ingredients, you can choose from 3 delicious varieties � Savory Herb, Shiitake Mushroom or Golden Gravy (plain gravy mix.) 1 oz. packets are $1.49 each. Bee Free Honee Vegan Honey Substitute -- A unique sweetener with the perfect hint of tartness, Bee Free Honee is �apple honey� in that it�s made from apples and not bees! Using only three all-natural ingredients (apple, beet sugar and lemon juice), there�s nothing . . . Better Than Sour Cream by Tofutti -- IMPORTANT SHIPPING INFORMATION FOR THIS ITEM BELOW� PLEASE READ! Spice up your baked potato, Mexican dishes, dips, or use as a replacement in any recipe � this certified kosher sour cream tastes as good as the real thing . . .
Biscoff Spread by Lotus Bakeries -- It�s finally here in the USA! Known internationally as speculoos, this delicious spread has finally made its way to North America, and it could quickly become your new favorite treat! What is Biscoff Spread? Imagine a spread . . .
Butler Chik-Style Seasoning -- The east and tasty way to season Soy Curls or any other unflavored meat substitute, this seasoning has a delicious �chicken� flavor and is free of MSG, anti-caking agents and other undesirable ingredients. Give your TSP, . . .
Chipotle Vegenaise by Follow Your Heart -- Please read important shipping information below before ordering to ensure items arrive in optimal condition, items not shipped as per instructions below are sent at your own risk! Bring a little spice into your life with . . .
Choc & Nut Organic Hazelnut & Cashew Chocolate Spread -- Now you can enjoy a healthy, organic and dairy-free chocolate spread that�s packed with protein as well as natural iron, magnesium, phosphorous and potassium, too! Made with twice the amount of nuts compared to most brands . . .
Creamy Horseradish Spread by Viana -- Viana has taken the spicy flavor of horseradish and combined it with their delicious sunflower spread to create a natural and healthy condiment that�s perfect for topping off your favorite sandwiches. It�s great used as a . . .
Creamy Vegan Dill Dip Mix by Simply Organic -- You can now have this delicious dip in a dairy-free version � just mix the packet contents with 2 cups of vegan sour cream (or plain soy yogurt if vegan sour cream is not available) and in 30 minutes you�ll have a tasty bowl . . .
Creamy Vodka Sauce by Parmela Creamery -- A treat for the authentic pasta fans out there, you won't find a better way to top off your rigatoni, fusilli, tofu, or your favorite vegetables than with this sauce by Parmela Creamery! Made with rich cashew cream . . .
Creamy White Gravy by Heritage Health Food -- The perfect creamy white vegan gravy that�s great over biscuits, mashed potatoes, vegan sausage, bread, cornbread, and plenty of other things as well! Just blend with water and you�ll have thick and rich white gravy . . .
Creamy White Gravy Mix by Vegetarian Express -- You can have vegan home-style white gravy in minutes with this powdered mix. Just mix with cold water or your favorite vegan milk, whip until smooth, and you�re ready to top off your biscuits, veggie sausage or anything else . . .
Crunchy Biscoff Spread by Lotus Bakeries -- It�s finally here in the USA! Known internationally as speculoos, this delicious spread has finally made its way to North America, and it could quickly become your new favorite treat! What is Biscoff Spread? Imagine a spread . . .
Dairy-Free Thousand Island Organic Dressing by Organicville -- There�s been a serious lack of vegan Thousand Island dressing for quite a long time, but Organicville has stepped in to bring back the classic that tops the perfect California Burger (vegan, of course!) and gives your salads . . . Dark Chocolate Dreams Peanut Butter by Peanut Butter & Co. -- This fabulous gourmet peanut butter combines the best of both worlds, peanut butter and chocolate, to make for a spread that�s a winner for topping toast, English muffins, bagels or whatever else your imagination calls for. . . .
Grapeseed Vegenaise by Follow Your Heart -- Please read important shipping information below before ordering to ensure items arrive in optimal condition, items not shipped as per instructions below are sent at your own risk! Grapeseed oil is one of the few natural . . .
High Omega Vegan Bleu Cheese Dressing by Follow Your Heart -- Please read important shipping information below before ordering to ensure items arrive in optimal condition, items not shipped as per instructions below are sent at your own risk! It�s here! The best vegan bleu cheese . . .
High Omega Vegan Ranch Dressing by Follow Your Heart -- Please read important shipping information below before ordering to ensure items arrive in optimal condition, items not shipped as per instructions below are sent at your own risk! Finally, a creamy and tangy ranch dressing . . .
Just Mayo by Hampton Creek Foods -- Please read important shipping information below before ordering to ensure items arrive in optimal condition, items not shipped as per instructions below are sent at your own risk! Just Mayo is a premium mayonnaise made . . .
Meditalia Vegan Basil Pesto -- This delicious vegan pesto is made without the usual cheese that makes most other pesto non-vegan. Straight from the jar, it is perfect on pasta, bruschetta, in soups, or on anything else you desire! 6.35 oz. (180g) container . . .
Nacheez Dairy-Free Nacho Sauce -- Nacheez is as flavorful, smooth and creamy as real dairy nacho sauce, but is completely vegan and only has 140 calories per jar! Unlike other vegan cheese sauces, Nacheez gets its creamy texture from raw cashews, and it is . . .
Nacho Mom's Ultimate Vegan Queso -- What happens when an award-winning Texas chef goes vegan? Everything good�except for the cheesy Tex-Mex cravings that wouldn�t go away. When no other recipe came close to �the real deal� of mom�s cheese queso recipe, hours . . .
Natural Liquid Smoke by Colgin -- A vegan and all-natural smoke flavor enhancer, Colgin's Liquid Smoke is the best way to add the perfect smoky flavor and aroma to your favorite dishes, sauces and marinades. Dash or brush Liquid Smoke on your favorite . . .
NayoWhipped Vegan Sandwich Spread by Nasoya -- Nasoya has taken their amazing Nayonaise and whipped it up for an even creamier version of the original! Slather it on sandwiches, make your favorite dips, or replace regular non-vegan mayonnaise in any recipe with . . .
Organic Caramel Syrup by Flavorganics -- While it�s excellent in hot beverages, this tasty caramel syrup isn�t just for coffee! It�s exceptional for topping pancakes or waffles, using as a dip for fruit, and is scrumptious when drizzled over cakes and vegan ice . . .
Organic Creamy Sunflower Spreads by Viana -- These tasty imported sandwich spreads add a whole new world of flavor to your favorite meals! Made with a base of organic sunflower seeds and organic, gluten-free ingredients, these creamy spreads are delicious as a . . .
Organic Curry Spreads by Viana -- Packed with creamy, tasty curry flavor and made only with organic, gluten-free and non-GMO ingredients, these delicious spreads are perfect to use as an appetizer pate, as a topping for crackers, or as a unique sandwich . . .
Organic Fudge Cream by Lovebean -- Velvety layer upon velvety layer of rich fudge flavor in every bite, this Fudge Cream is absolutely heavenly! Spread it on ripe bananas, almond butter bites, put it in your smoothies, top off your vegan ice cream or . . .
Organic Gourmet Savoury Spread European Nutritional Yeast Extract -- This gluten-free nutritional yeast spread adds nutty, hearty flavor to sandwiches, sauces and soups! Possessing a very distinctive flavor, this spread is made naturally from yeast enzymes formed on molasses, and is not just . . .
Organic Ketchup by Organicville -- Organicville Ketchup is made with the finest vine-ripened tomatoes and organic seasonings. This ketchup is certified organic, gluten-free, and contains no added sugar as it is sweetened with agave nectar. 24 oz. (680g) bottle . . .
Organic Onion Butter Spread by Viana -- This smooth and creamy vegan spread is packed with delicious onion flavor. A great alternative to butter, it will do wonders to spice up your favorite sandwiches, appetizers and more. 5.3 oz. (150g) jar is . . .
Organic Pistachio Pesto by Living Tree Community Foods -- This unique organic vegan pesto is made with mostly raw ingredients to make a rich, delicious spread that is exceptional on crackers or crunchy veggies, and is perfect in your favorite pastas and soups, too! The pistachio . . .
Organic Powdered Peanut Butter by Just Great Stuff -- Why powdered peanut butter? We�ll tell you why! Traditional peanut butter has 16 to 18 grams of fat in 2 tablespoons. However, these organic powdered peanut butters have only 1 to 1.5 grams of fat in the same . . .
Organic Sundried Tomato and Almond Pesto by Living Tree Community Foods -- This unique organic vegan pesto is made with mostly raw ingredients for a rich, delicious spread that is exceptional on crackers or crunchy veggies, and is perfect in your favorite pastas and soups, too! Made with ripe, organic . . .
Organic Tahini by East Wind Nut Butters -- Made by a worker-owned cooperative in the lovely Ozark hills of rural southern Missouri, East Wind Organic Tahini is roasted to perfection without any added salt, giving you the purest, most flavorful tahini available. 16 . . .
Organic Vegan Pate by Elianni -- This delicious organic vegan pate` is made in Spain, made with the finest natural ingredients and nothing artificial. Perfect on crackers, toast points, smeared on fresh vegetables or as a sandwich spread, no matter how you . . .
Organicville BBQ Sauce -- These BBQ sauces are certified organic, gluten-free, and are naturally sweetened with agave nectar. Available in 2 flavors - Original Sweet & Smoky pairs a tangy sweetness of organic tomatoes with the savory hint of spice . . .
Organicville Vegan Non-Dairy Ranch Dressing -- Tangy with a hint of sweetness, this delicious gluten-free ranch dressing is excellent on salads or as a dip (we use it on meatless buffalo wings regularly!). 8 oz. (236ml) bottle is $4.59. Ingredients: Filtered water, organic . . .
Pesto Vegenaise by Follow Your Heart -- Please read important shipping information below before ordering to ensure items arrive in optimal condition, items not shipped as per instructions below are sent at your own risk! The elegance of fresh basil meets the . . .
Rawmio Organic Raw Chocolate Hazelnut Spread -- Rawmio is a decadent handcrafted raw vegan treat that will satisfy your sweet tooth! It combines soaked and dehydrated whole organic hazelnuts that are stone-ground with organic cacao nibs and coconut sugar crystals for a . . .
Roasted Garlic Vegenaise by Follow Your Heart -- Please read important shipping information below before ordering to ensure items arrive in optimal condition, items not shipped as per instructions below are sent at your own risk! Indulge your tastebuds with the luscious . . .
Saucy Ranch Seasoning by Vegetarian Express -- This tasty seasoning lets you add some extra zip to your veggies and main courses, and it also works with your favorite vegan mayo to make a delicious ranch dressing, too! 2.4 oz. (68g) container is $5.99. Ingredients: Dehydrated . . .
Sky Valley Sriracha Sauce by Organicville -- Sky Valley Sriracha Sauce combines the highest quality cayenne peppers with red jalapenos and garlic. This sweet, fresh tasting Sriracha sauce adds a flavorful heat to all your meals! And, naturally, Sky Valley . . .
Southwest Ranch Seasoning and Dressing Mix by Heritage Health Food -- You can sprinkle this flavor-packed ranch-style seasoning mix on salads, soups or your favorite entr�es, but even better yet, you can mix it with Vegenaise or your favorite vegan mayonnaise to create your own ranch dip or . . .
Soy-Free Vegenaise by Follow Your Heart -- Please read important shipping information below before ordering to ensure items arrive in optimal condition, items not shipped as per instructions below are sent at your own risk! Soy-Free Vegenaise offers all the great . . .
Tate's Natural Miracle Sauce -- Get ready for a spicy kick! Tate�s Miracle Sauce is what we�d call a hybrid barbecue and steak sauce, perfect for grilling and seasoning all your favorite meat alternatives to give them a new flavor twist. Marinate . . .
Turkey-Style Supergravy by Massel -- Make a batch of rich, creamy vegan gravy in minutes with this new product from Massel! Made without added MSG, gluten, wheat or any animal by-products, it�s the perfect complement to your favorite meat alternatives and vegetables. . . .
Vega Antioxidant Omega Oil Blend by Sequel Naturals -- Formulated by Brendan Brazier, professional Ironman triathlete and best-selling author on performance nutrition, Vega Antioxidant EFA Oil Blend is produced from pure, premium and unrefined certified organic botanicals. Cold-processed . . .
Vegan Alfredo Sauces by Parmela Creamery -- Made with fresh cashew cream and rich cultured treenut cheese, Parmela Creamery's Vegan Alfredo Sauces give you the authentic flavors of a classic alfredo, but without the dairy, cholesterol and saturated fats! Traditionally . . .
Vegan Alfredo Sauces by Victoria Vegan -- Just one taste of this decadent vegan alfredo sauce, and you�ll be a believer! You CAN follow a plant strong diet and still savor the rich taste and velvety feel of a creamy pasta sauce. Victoria Vegan uses only the finest . . .
Vegan Cheese Sauce Mix by Leahey Gardens -- If you love Leahey�s Macaroni and Cheese, but want their cheese sauce for your own dishes, then you�re in luck! Leahey Gardens now makes their delicious vegan cheese sauce in a large 8 oz. package so that you can make a batch . . .